The Siphon Tank Adapter adopts the innovative Siphon System to converts RDA to RDTA in one step. With 4ml massive e-juice capacity, it has ample space for liquid storage. The Tank Adapter adopts the innovative Siphon System which converts your RDA to RDTA in one step with 4ml capacity and 24mm diameter. With 4ml massive e-juice capacity, it has ample space for liquid storage. The 24mm diameter is compatible with most RDAs. No long messy cotton and no need to squeeze all the time. Just get one for your RDA to enjoy more easier vaping. 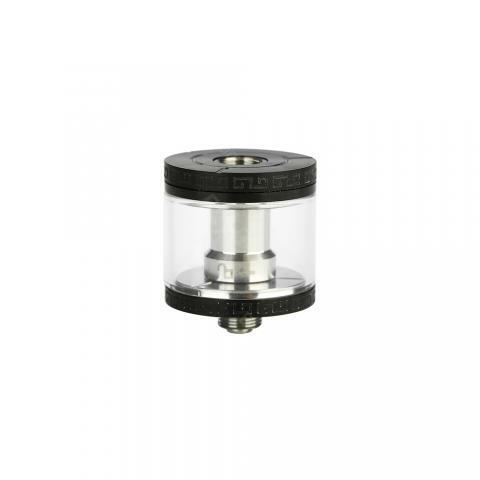 Siphon Juice Tank Adapter for Atomizer is an innovative Siphon accessory used on bottom feeder RDA / RTA. It is a 24mm adapter and can compatible with atomizers not over 24mm.